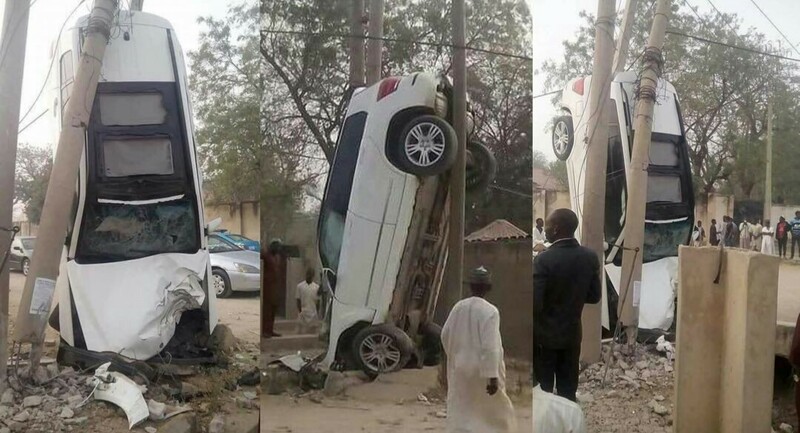 Pics from a freak accident involving a jeep and an electricity pole, along Sokoto road in Kano State. Lolz, not funny... But I wonder how the SUV ramped into the electric pole and it remained upright... #inquisitive.